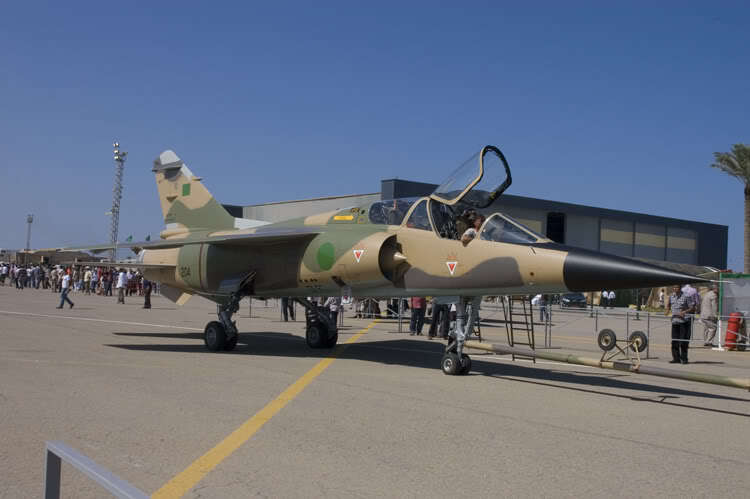 The Mirage F1B is a two seat combat trainer version requested by the Kuwait Air Force, first flying in May 1976. 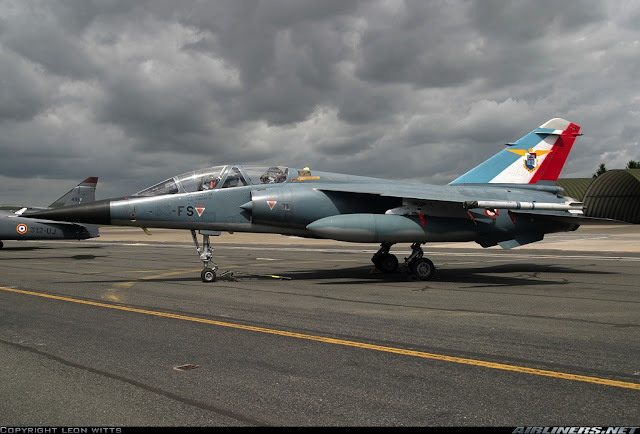 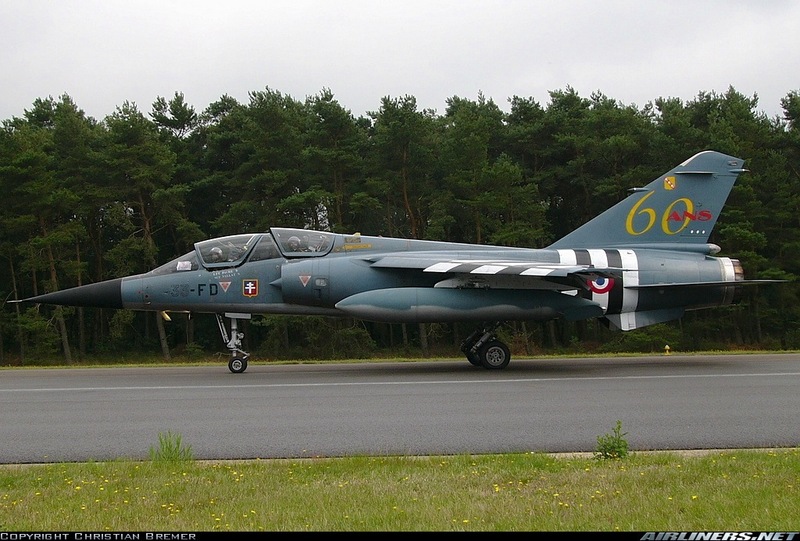 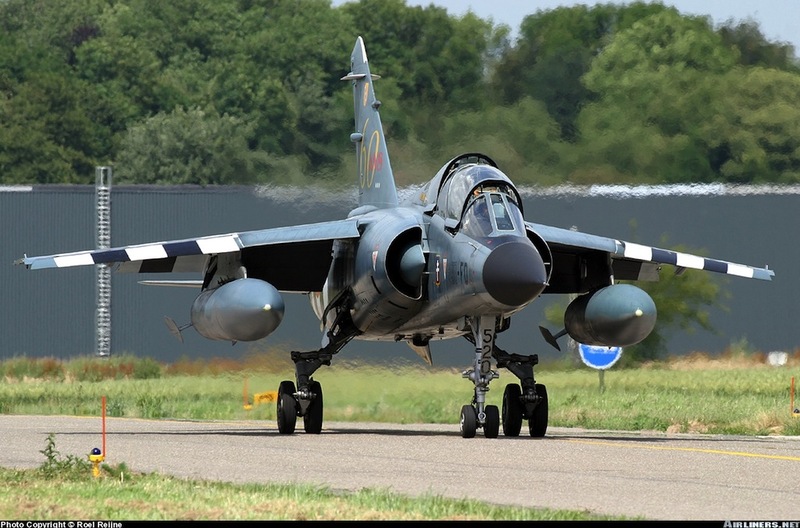 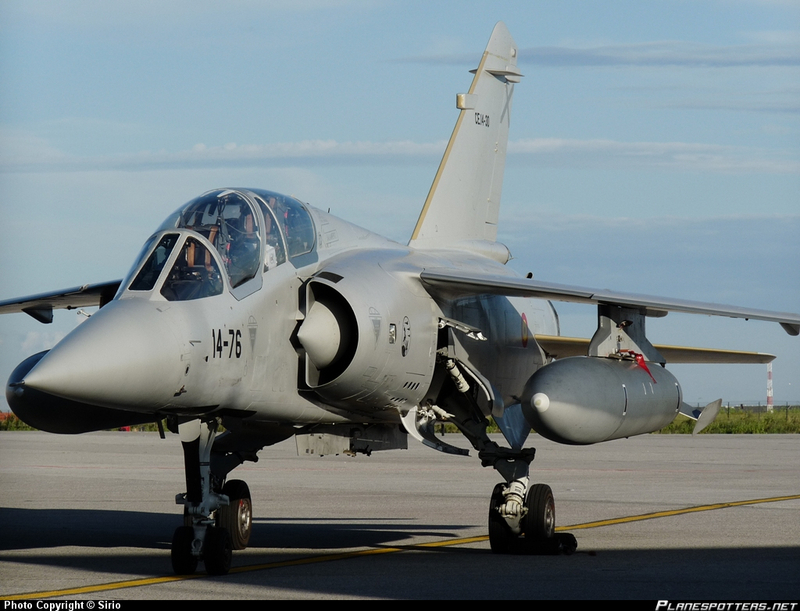 The French Air Force ordered 20 Mirage F1B, these were delivered between October 1980 and March 1983. 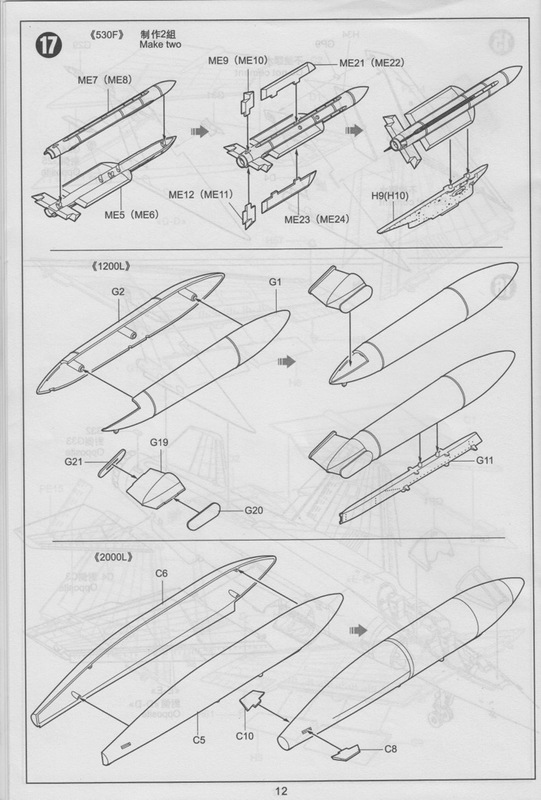 The extra seat and controls added only 30 cm (12 in) to the length of the fuselage, but at the cost of 450 litres less internal fuel capacity and the loss of the internal cannon. 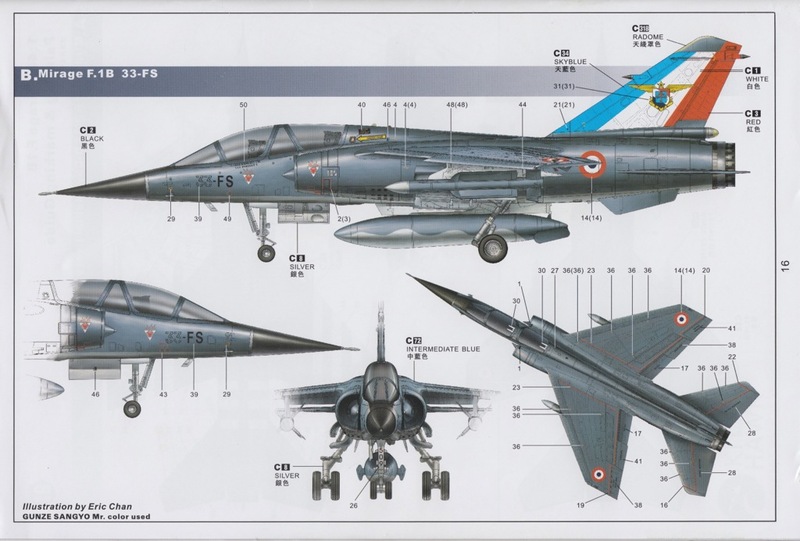 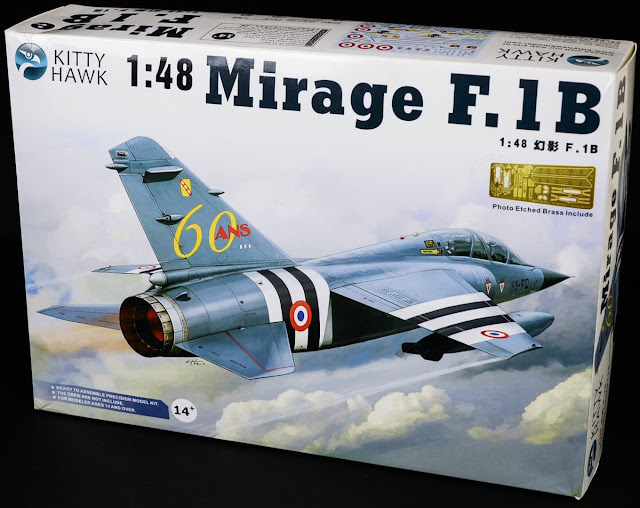 The Mirage F1 has been fairly well represented as a scale model over the years. 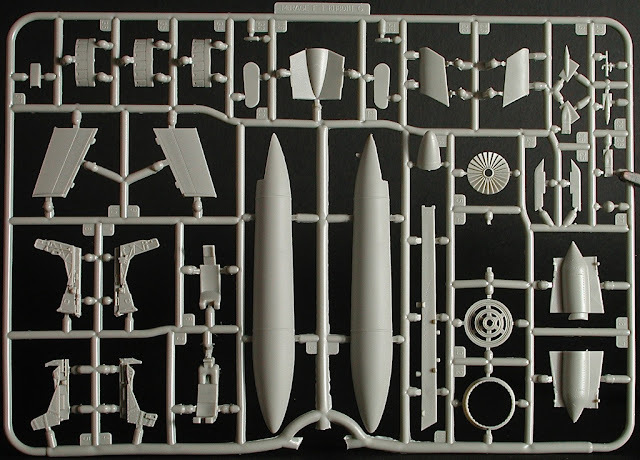 In 1/48 the ESCI kit which was released in the mid 80's, with its fine recessed panel lines has stood the test of time well, being re-boxed most recently by Italeri in the early 2000's. 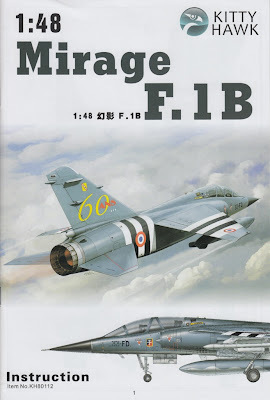 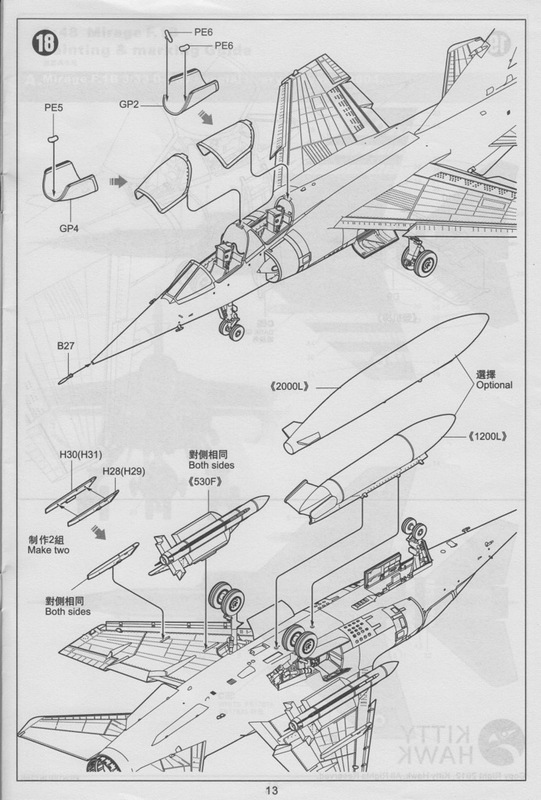 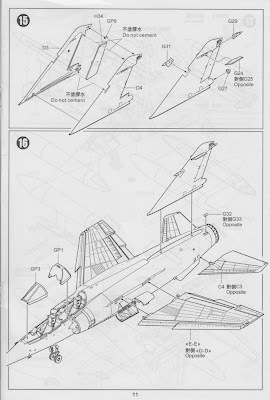 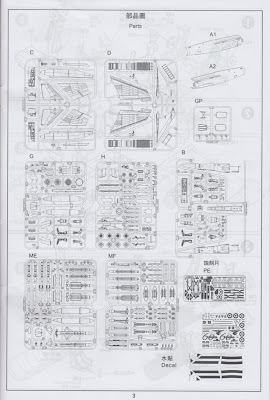 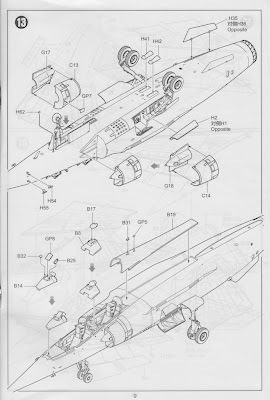 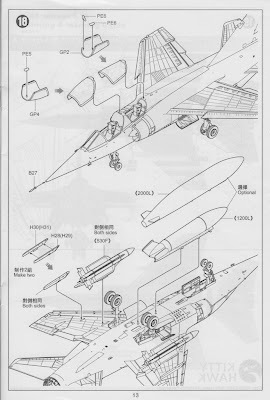 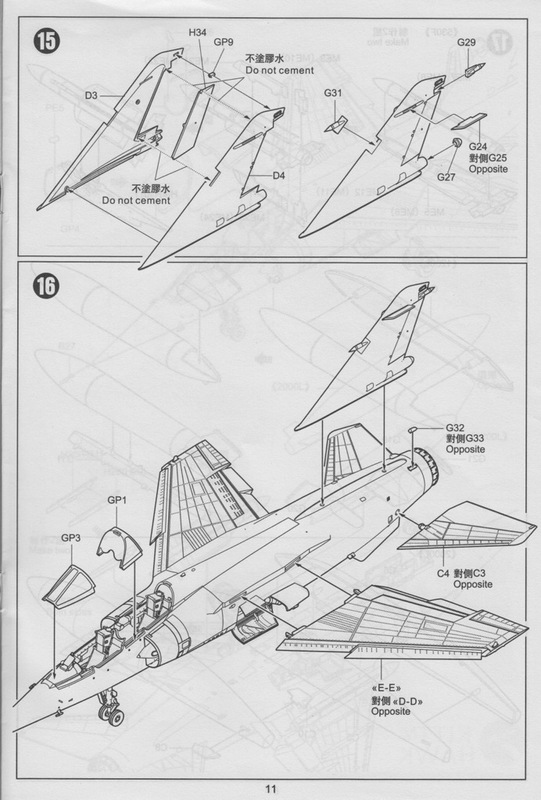 The two seat Mirage F.1B has to my knowledge only been kitted once in 1/48 by Fonderie Miniatures. 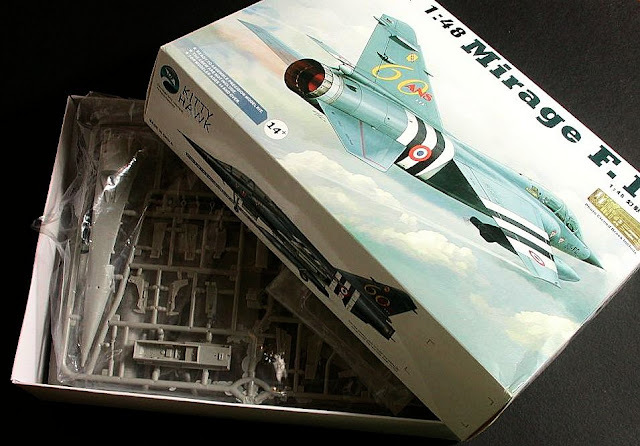 In this respect, the Kittyhawk model is highly anticipated and a clever move on their behalf to find and fill a gap with a modern tooling. 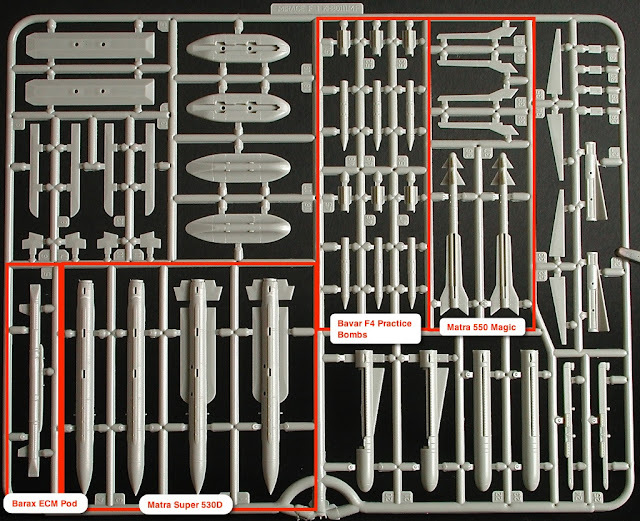 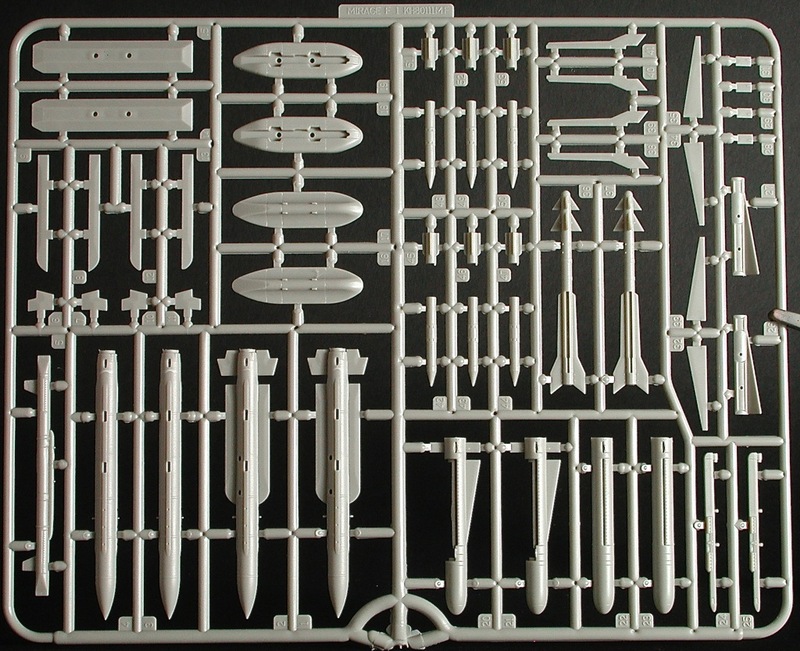 After looking closely at the sprues, it's fairly safe to assume that Kittyhawk plan to release a single seat version of the kit in the future. 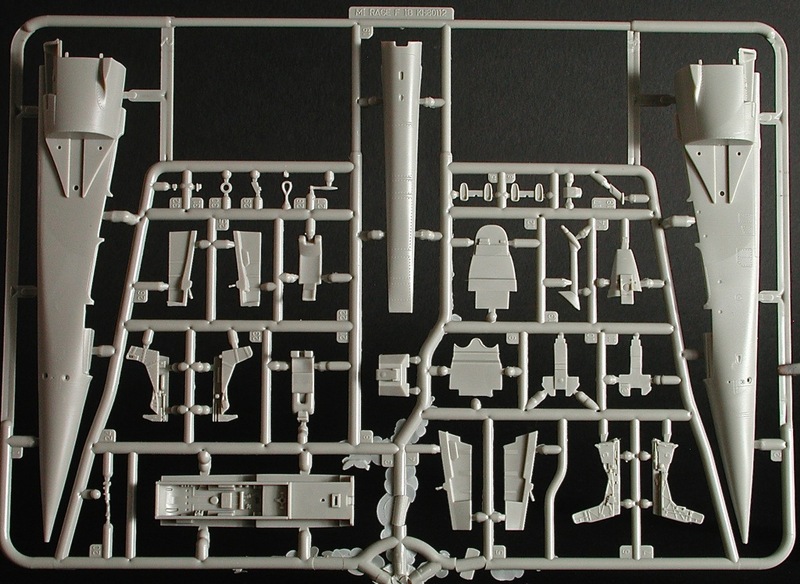 The cockpit parts are fairly basic, but like most 1/48 kit cockpits will benefit from some scratch built detailing or a resin replacement. The inclusion of a refuelling probe on the F.1B specific sprue is a nice touch considering that neither of the French aircraft provided in the decal sheet have a refuelling probe fitted. 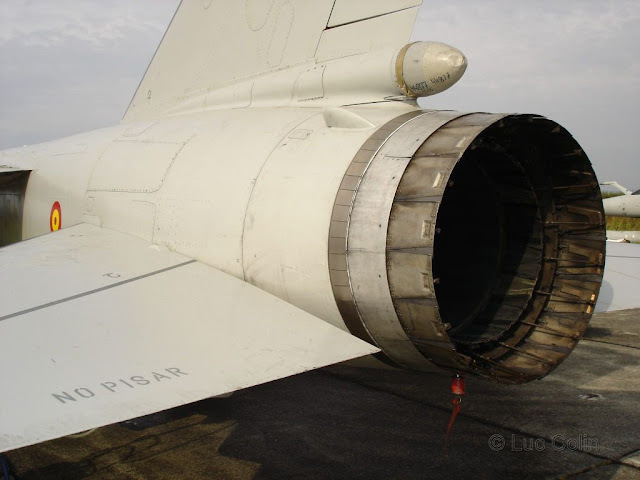 A full length representation of the SNECMA ATAR 9K engine is provided, but unless you intend to display this outside the airframe, virtually none of it will be seen. No intake trunking is provided which ensures that you will not see any of the engine from the front either.A nice touch is the inclusion of a boarding ladder. 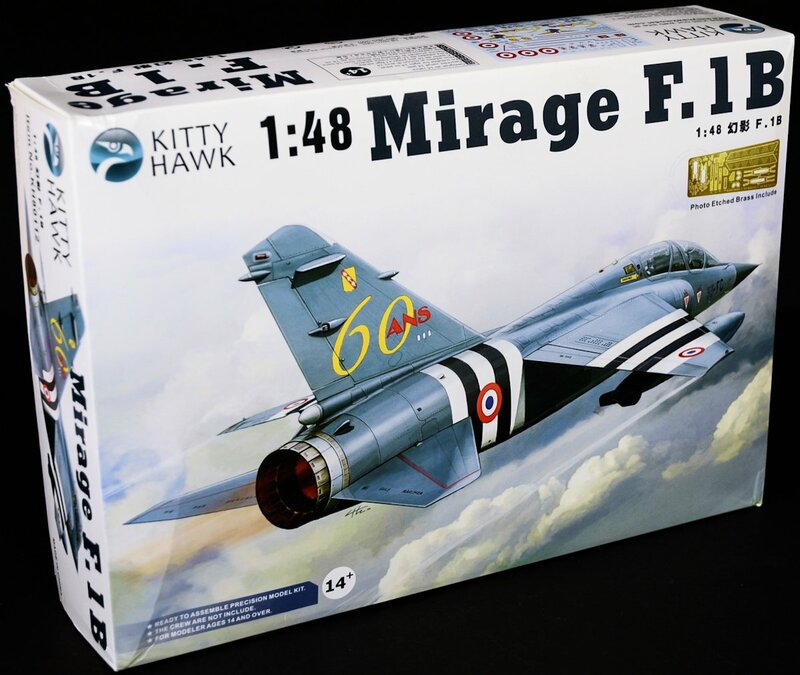 No pilot figures are included, unlike Kittyhawks F-35 kits, which is a pity as I think the Mirage F1 looks great in flight. 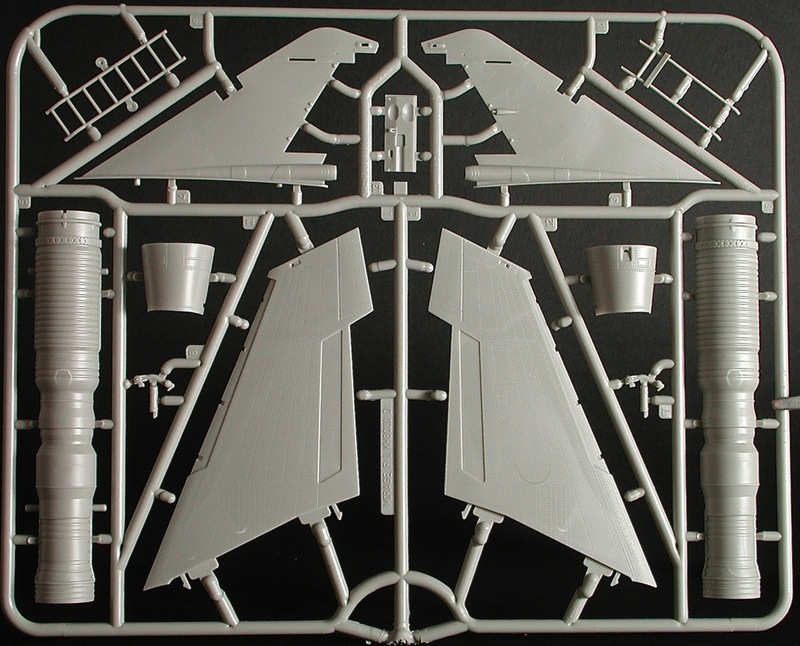 The cockpit side consoles and instrument panel faces have been provided only in photo-etch. 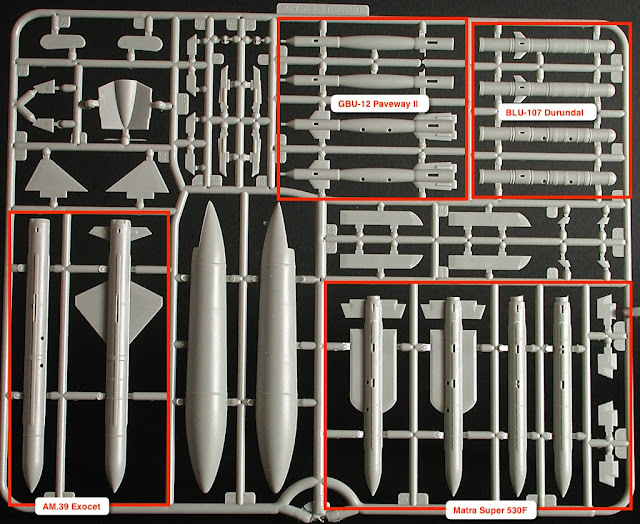 I would have preferred if they provided these in plastic with the option to use PE if so desired (as an upgrade if you like). The relief on the PE fret is not so good and I think painting this will be a challenge, far more so than a plastic equivalent. Kittyhawk have provided both the original MB Mk.4 seat(s) and the later MB Mk.10 seats. 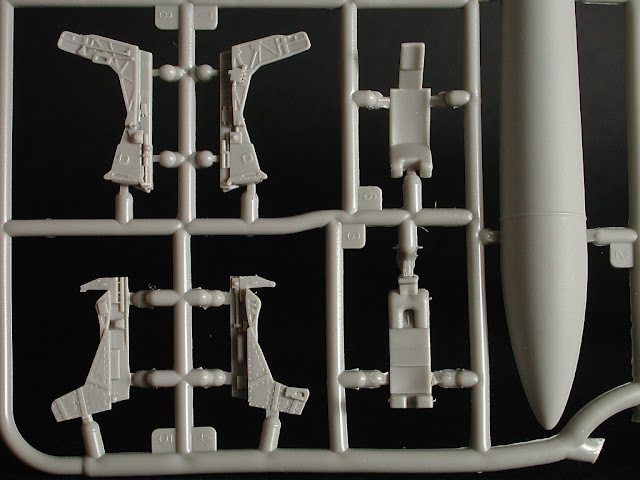 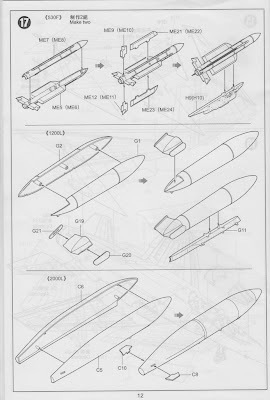 My understanding is that the French operated F.1B's only had the Mk.10 seats fitted, so I'd guess these sprues will be re-used in a later boxing of the single seat F.1C or perhaps the export variants of the F.1B two seater used the Mk.4 seats. 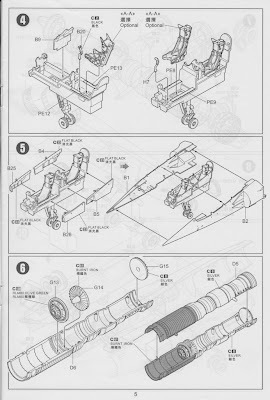 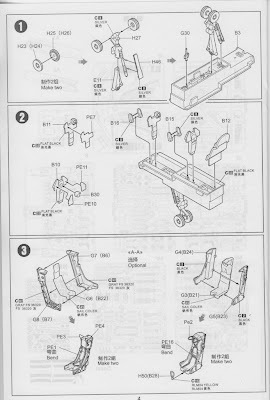 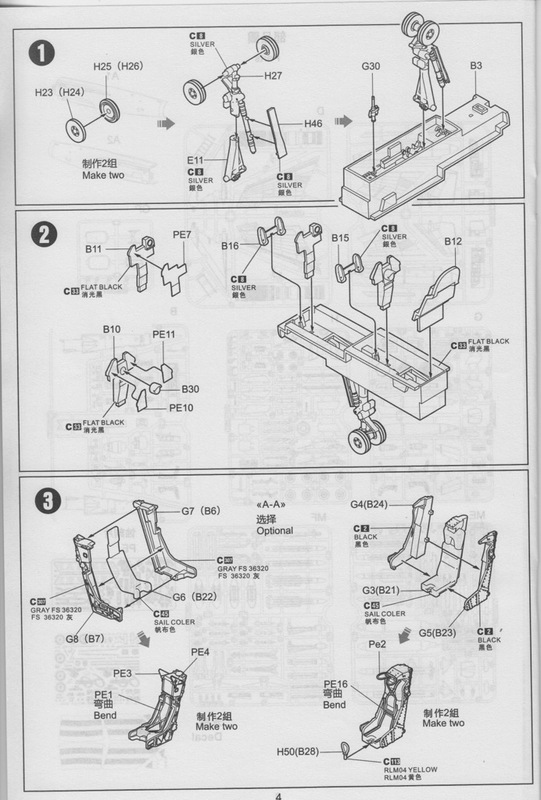 The instructions do show the seats as interchangeable which is odd as the kit only provides decal options for French aircraft. 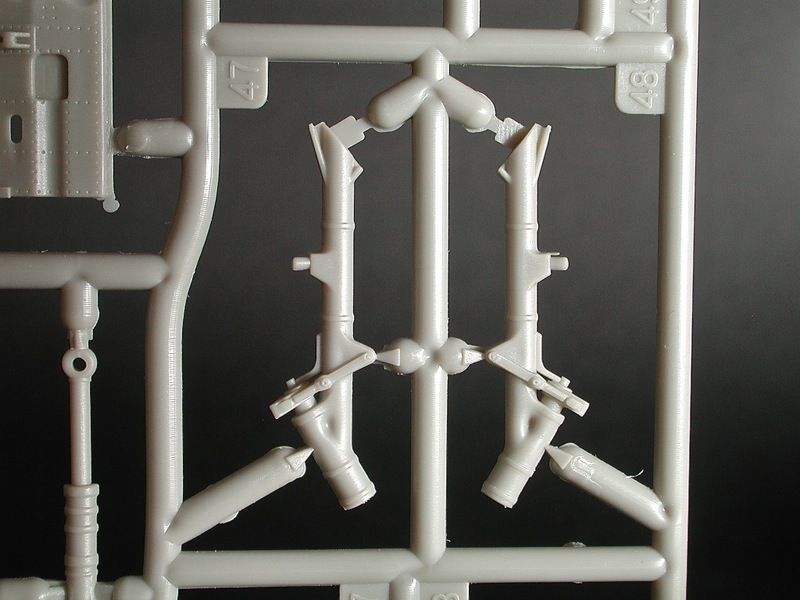 Inexpensive resin alternative for both MB seats are fairly readily available from Pavla, Aires and True Details. 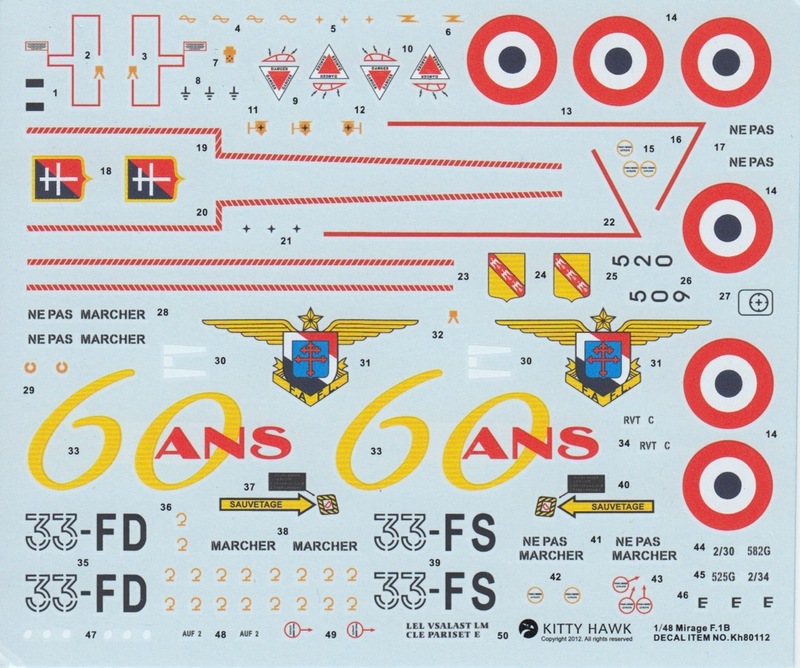 Its also a fairly safe bet that someone will soon come out with optional decals for this kit. Sprue G has several of the engine detail components, including the nozzle which is provided in three parts. 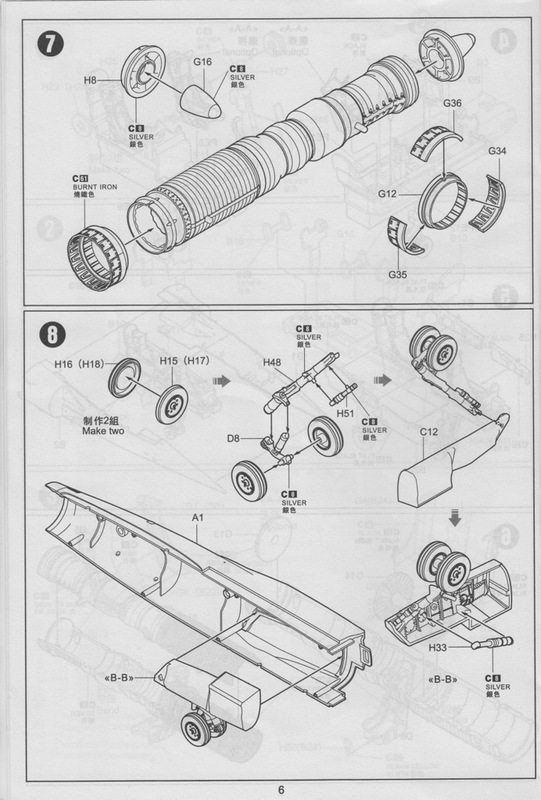 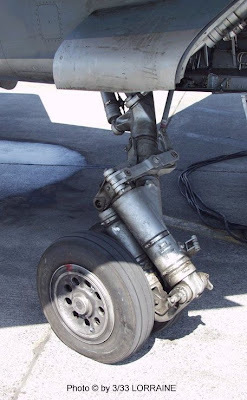 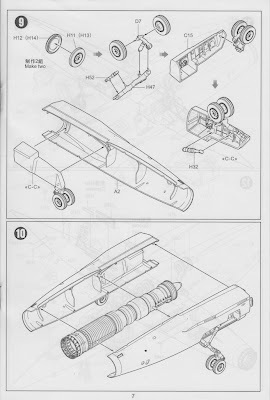 I hope the fit of these parts is good as this tends to be a very visible part of any jet model. 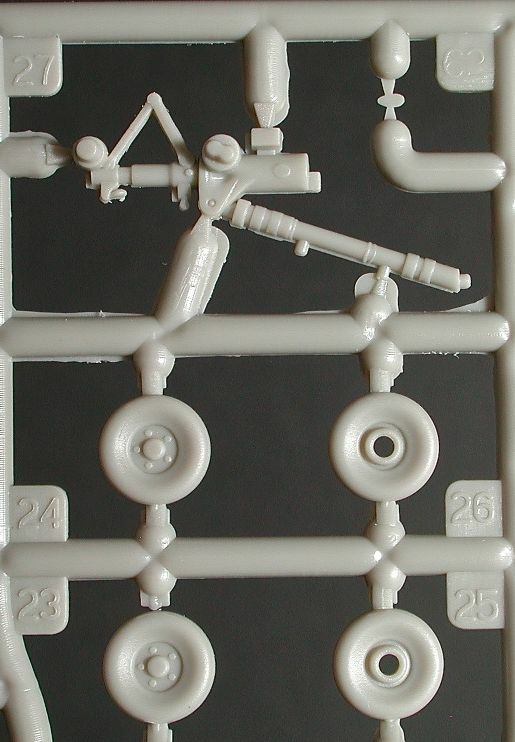 The ATAR 9K nozzle is nicely detailed both inside and outside and matches up closely to the real thing. I did not compare the shape of these weapons to any trustworthy source (say the Hasegawa weapon sets) but just trusting my Mk.1 eyeballs, they look pretty reasonable and I'd happily use them as is.The final sprue (H) contains mostly miscellaneous parts such as the undercarriage, wheels, pylons etc. 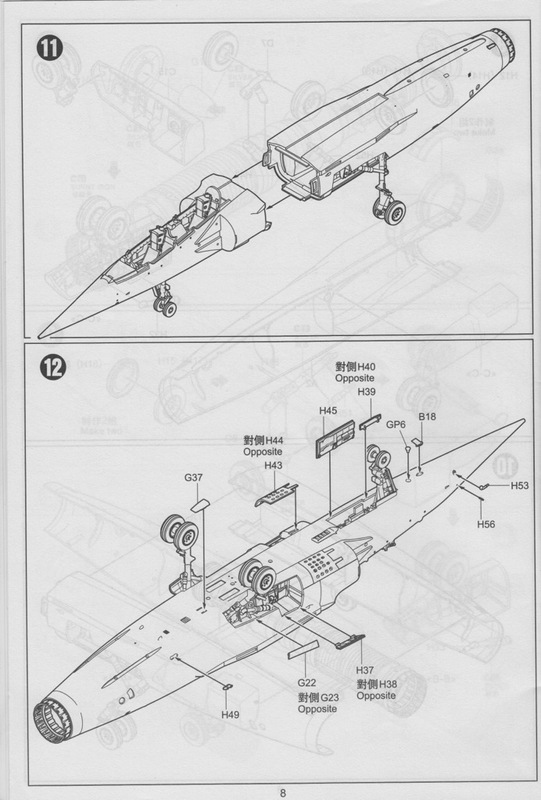 A nice feature (which you don't get with the older ESCI kit) is the option to display the air brakes open. 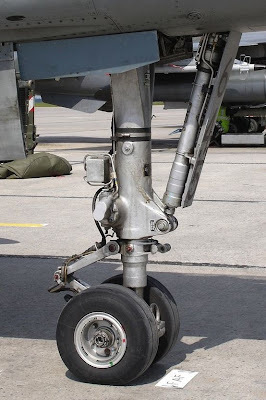 The main wheels and struts match up pretty well to photos of the real thing. 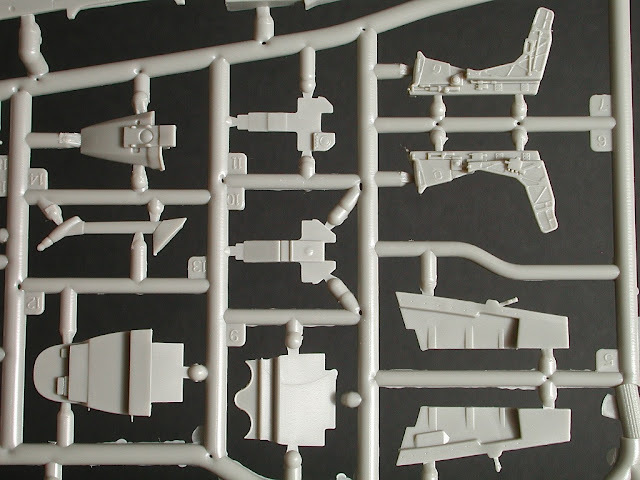 I’d expect that suitable resin weighted replacement would appear in time. 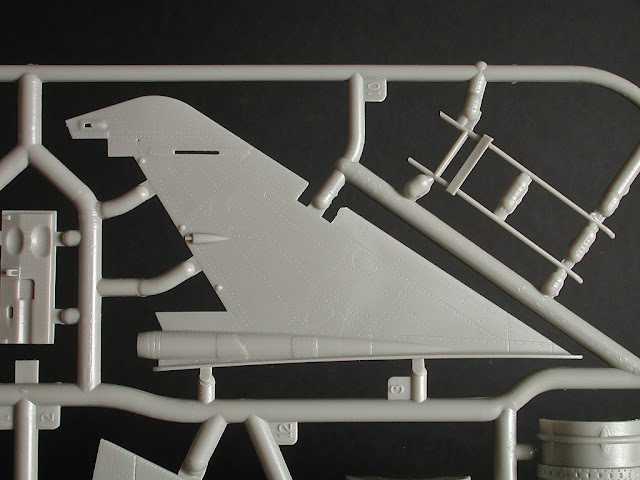 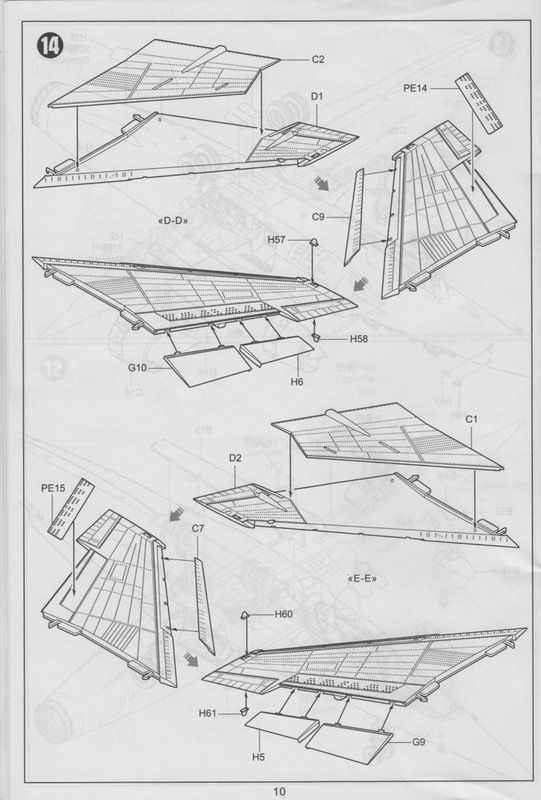 The rear section of the fuselage is not attached to a traditional sprue, with both halves coming in their own bag. 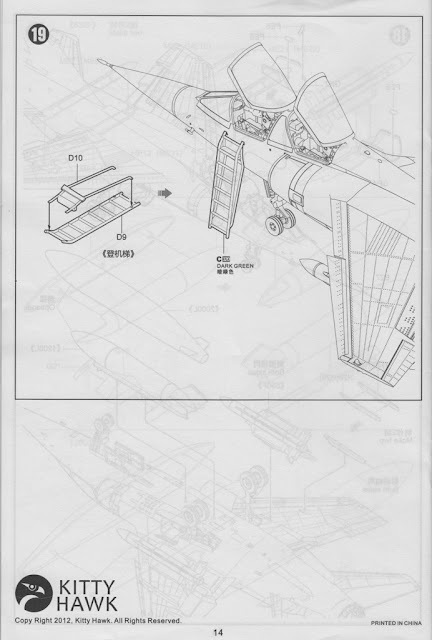 There appear to be a lot of access panels that span the centreline join and will almost certainly be lost during sanding. 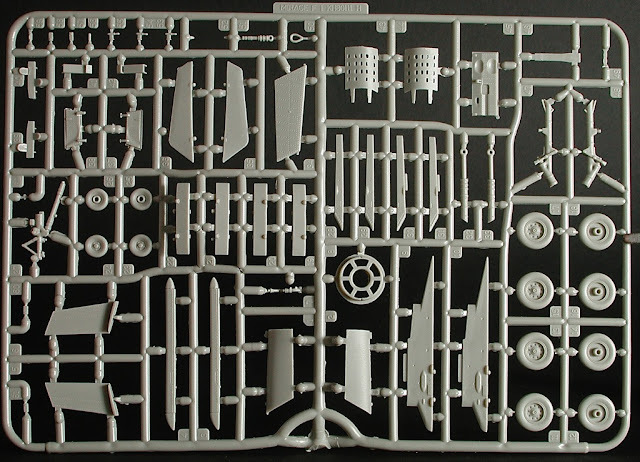 The clear sprue contains the windshield and both canopies. 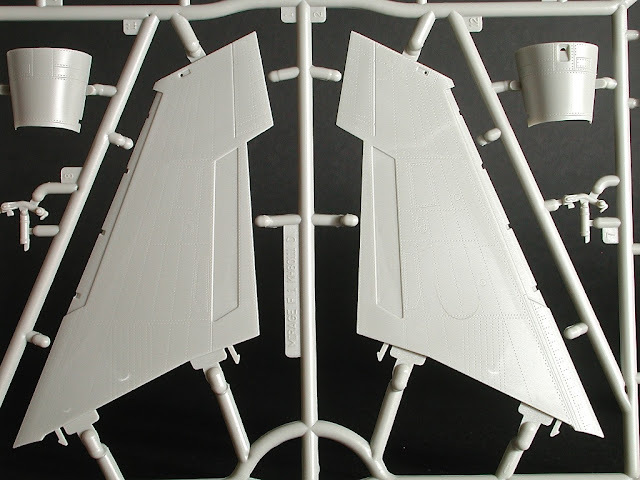 All the clear parts are blemish free and the canopy framing is nicely done and will be no problem to mask prior to painting. 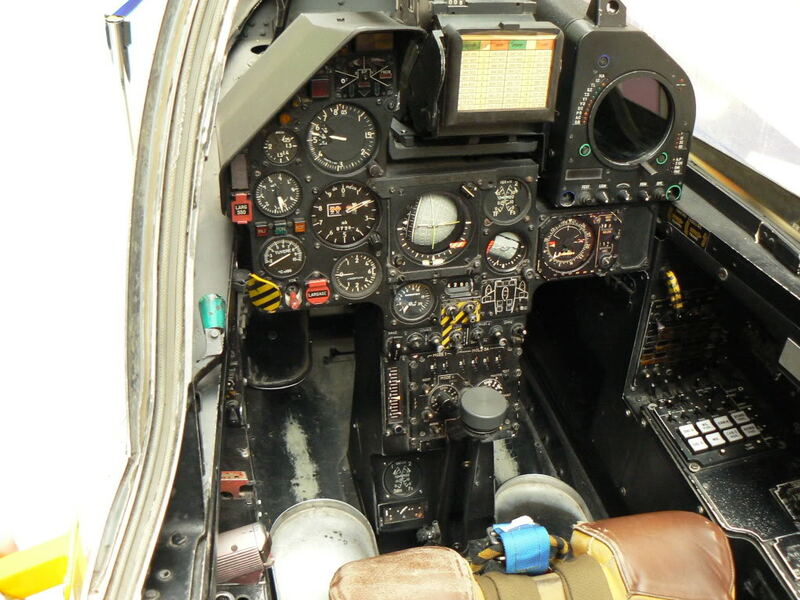 The inclusion of a small photo-etch fret is becoming common place these days and this contains the instrument panels and side panels for the cockpit, the harnesses for both seats as well as the prominent canopy breakers for the headrest of the MB Mk.10 ejection seats (this is a nice touch imho). 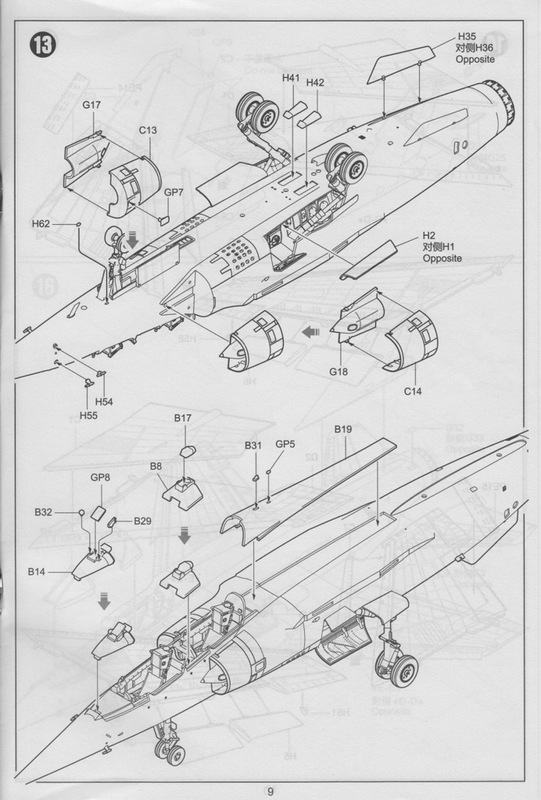 Rear view mirrors and ejection seat activation pull handles (for MB Mk.4 seats) are also provided and finally the two largest parts on the fret are the wing spoilers. 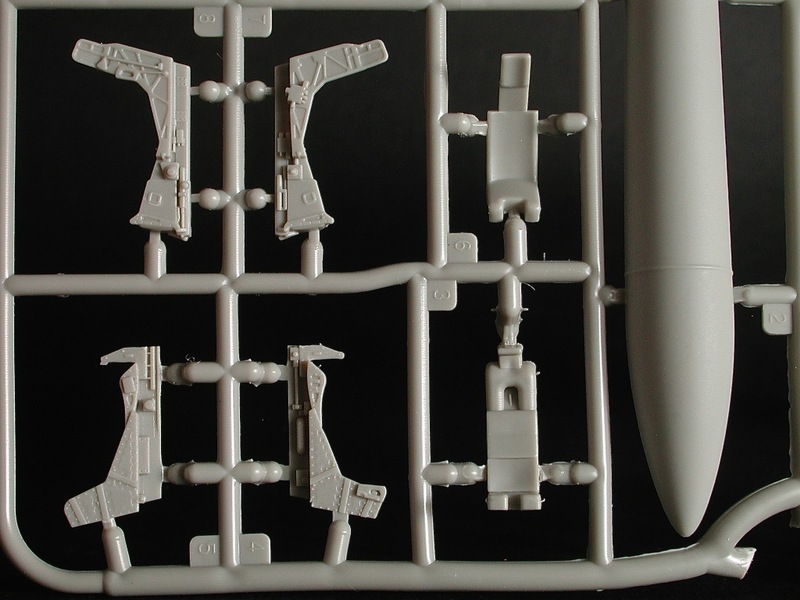 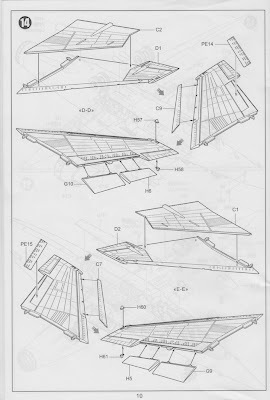 Again it would have been nice to provide these spoiler parts in plastic as well as PE and let the modeller choose which one to use. 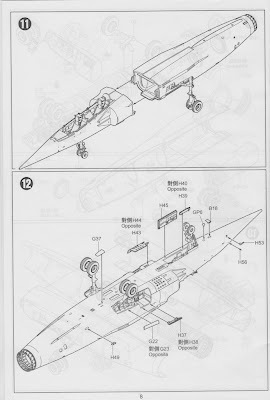 A lot of modellers are not comfortable working with brass PE and to make this the only option is limiting. The decals seem to be suitability thin with a minimum of clear carrier film. 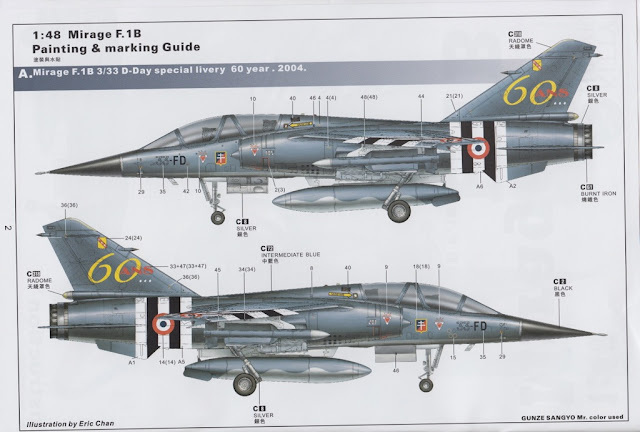 There is no evidence as to who these are printed by (I'd assume a local Chinese supplier as opposed to the more up market Cartograph) and the surface finish of each decal is flat and they therefore remind me of those offered in Revell Germany kits. 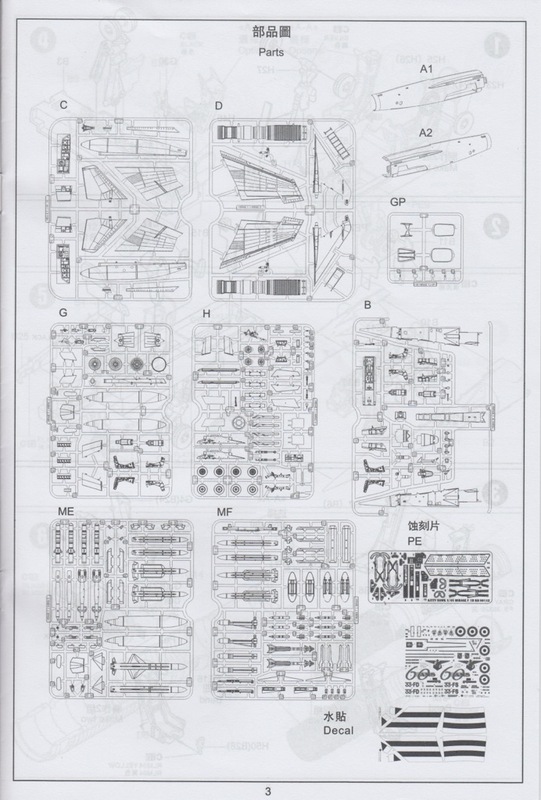 This does give me a moment of pause because I have not had a good track record with Revell decals .... time will tell. 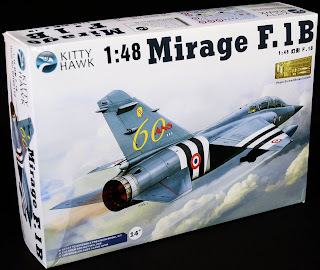 As I write this review I just happen to be half way through building the Kittyhawk F-35B so I have some hands on experience with how their kits perform, and my general opinion is pretty darn well. 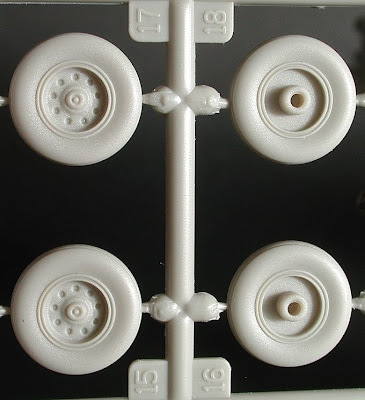 The detail and accuracy is certainly there where it counts, the parts are well moulded and the fit is on par with other mainstream model makers. 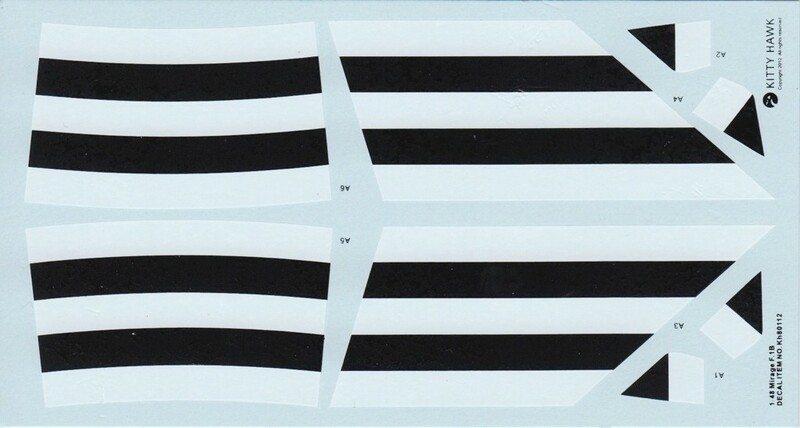 The only unknown for me is how their decals will behave. I'm looking forward to getting my hands dirty with this kit and I personally hope that some alternative decal options come along between now and then.